Mardi Gras took place this past week in New Orleans and I will review some of my personal experiences as well as some of the other events that took place. Some have even sggested that this was one of the rudest Mardi Gras in recent history. Is it tourists? Locals? Students? But before that I will discuss several other issues that have been going on in the news recently. Marie Harf made a ruckus because of comments she made about terrorism and poverty. While I do not necessarilly agree with her assessment completely I also question the legitimacy of the arguments made by those who are attacking her for making what they call “stupid” arguments. Some point to the lack of criticism of President Bush when he pretty much said the same thing previously. However, there is another reason why we shouldn’t take such folks seriously. Finally, the City of New Orleans passed a smoking ordinance that I feel goes way to far in some areas and completely misses the boat in other areas. I will go over why the ban should pretty much be flipped from what it currently is using my mardi gras experiences as an example. 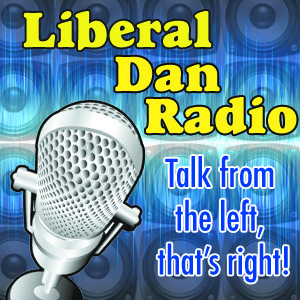 Those stories, headlines, tweet of the week and more this week on Liberal Dan Radio, Talk From the Left That’s Right. Thursdays at 8pm Central on Blog Talk Radio. Remember, the Liberal Dan Go Fund Me page is still up and running. Please consider supporting the show.